The old tradition says that man should spend two months of his annual salary on an engagement ring, but more couples (and specifically women) are bucking the trend by going for rings with more unusual gems and metals than your typical gold and diamonds—and lower price tags. In 2011, the average amount spent on an engagement ring was $5,200, according to a survey by The Knot, which is down more than $600 since 2008. But brides-to-be aren’t trading in wow-factor for savings. And it’s not just the recession that’s lowering the amount couples are willing to spend. 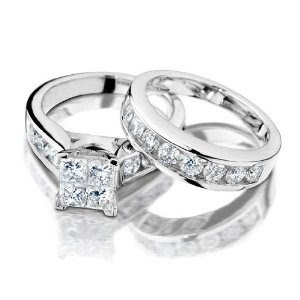 Couples are more actively picking out their rings together, meaning compromise may be a factor in the amount spent. Other women are going the Kate Middleton route and using a family or vintage ring, or opting for a gemstone instead of a diamond. Why? It’s cheaper and more unique. This entry was posted in Diamond rings, Engagement rings and tagged brides, compromise, cosmo, diamond, engagement ring, engagement rings, gemstone, gold and diamonds, kate middleton, price tags, smart investment, wholesale jeweler on January 5, 2013 by Donald. Studies have shown that December is the most popular month to get engaged, with a high proportion of men popping the question with a beautiful engagement ring from online jewellery suppliers. Although there is a large amount of data regar ding the time of year when couples get married, there are no official statistics about engagements. However, there has been research done by other sources. The 2011 American Wedding Study from US magazine Brides found that 18% of all couples get engaged in December, and the month remains the most popular time of the year for engagements. The same study in 2009 found that 15% of couples got engaged in the same month, showing that Christmas and New Year engagements are increasing in popularity. 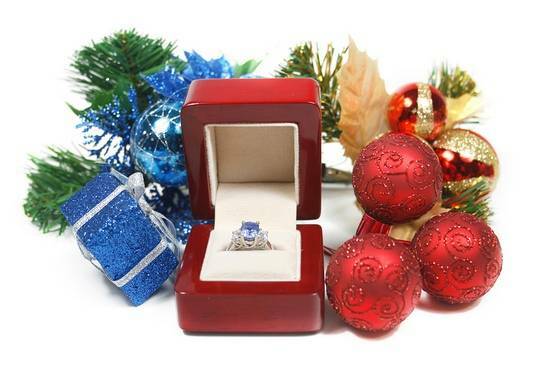 These figures are backed up by information from jewellers that report an increase in the sales of engagement rings; 12% of all rings are bought in the run up to Christmas according to the US National Jeweller Magazine. Choosing the engagement ring is no longer just left to the man; the Brides study found that 68% of women provided input into the ring choice and 21% of brides-to-be even selected their own engagement ring. If you’re planning on proposing this festive period, look to the Amazon online rings store for a wide range of stunning engagement rings including gold, silver, platinum and palladium diamond rings. With fast delivery and a 30 day money b ack guarantee, you can buy in complete confidence. This entry was posted in Engagement rings, Jewelry engagement rings, Wedding engagement rings and tagged amazon, american wedding, brides, diamond rings, engagement ring, engagements, festive period, jeweller, jewellery suppliers, new year, palladium, silver platinum, stunning engagement rings, time of year on January 4, 2012 by Donald.